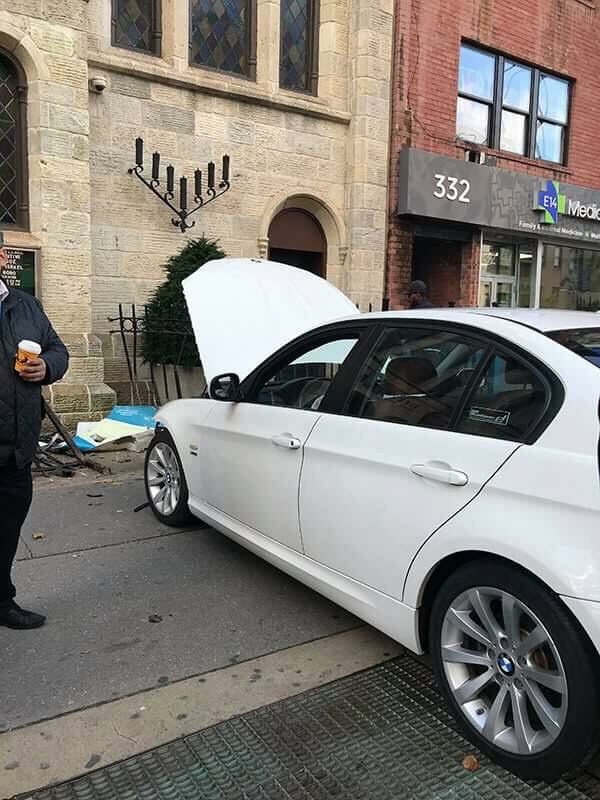 There are reports this afternoon that an elderly woman lost control of her car and crashed into the gates outside the Town & Village Synagogue on 14th Street between First Avenue and Second Avenue. 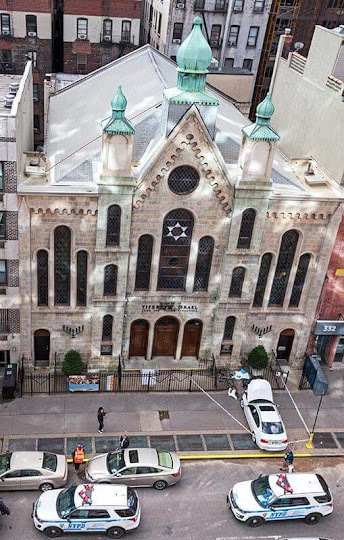 According to a witness, the driver exited from the parking garage on the north side of 14th Street ... and drove straight into the synagogue across the street. There weren't any reports of pedestrian injuries. No word just yet on injuries to the driver. Thanks to James & Karla Murray for the photos and KT for the report.